We will be attending three events in Indianapolis with TAG360 this year! These are the premiere Lasertag business events of the year. We will learn the essential trends you need to know that can help your business grow. We can protect that growth with an insurance plan specifically built for you. Let us prove it to you; we travel to you and help identify the pitfalls and possible liabilities that can derail your plans. We are off to Las Vegas for the Amusement Expo, March 27-28. We get to experience one full day of comprehensive industry education and one full day of exhibits! We look forward to seeing you there. Participants from around the world have attended these two-day events and have left well-informed and able to make intelligent decisions related to feasibility, financing, zoning, design, construction, and attractions. Eighteen seminars and many successful operators have proven the effectiveness of learning from our experts. 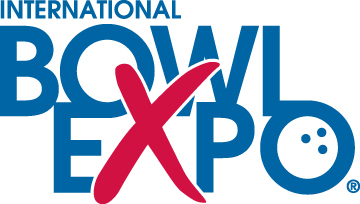 We are off to Las Vegas for the annual Bowl Expo, June 23-27. We exclusively cover the amusement industry and that includes many, many bowling facilities. We can tailor a coverage plan specifically to the needs of your facility and workforce. We look forward to seeing you there. Come see us at IAAPA in Orlando! IAAPA is the largest amusement related trade show in North America, and we all know it is a great time to see new industry trends that will be arriving in the coming year. Also, insurance coverage should be on your shopping list too. While not quite as fun as the latest go-kart or motion simulator, insurance protection is key to your long-term business goals. We provide the best personal service in the industry and we are ready to prove it to you. Stop by our booth and discover the SafePark USA advantage! Birthday University is all about the business of the birthday party. This ever-growing industry keeps creating new niché markets, and there is no better way to learn to monopolize on these opportunities and throw a great party than Birthday University. Foundations Entertainment University is a comprehensive educational workshop and seminar program covering all aspects of planning, designing, developing and operating a location-based entertainment business or FEC for long term success. Foundations provides a complete blueprint for anyone developing and opening a new center or significantly expanding or renovating an existing location-based entertainment facility. TrainerTainment brings you training and solutions to the family entertainment center, movie theater, and hospitality industries. We will coach your team to enhance business practices, customer service, social media & marketing presence promotions, events, birthday party programs, team building, and all other company and group outings.